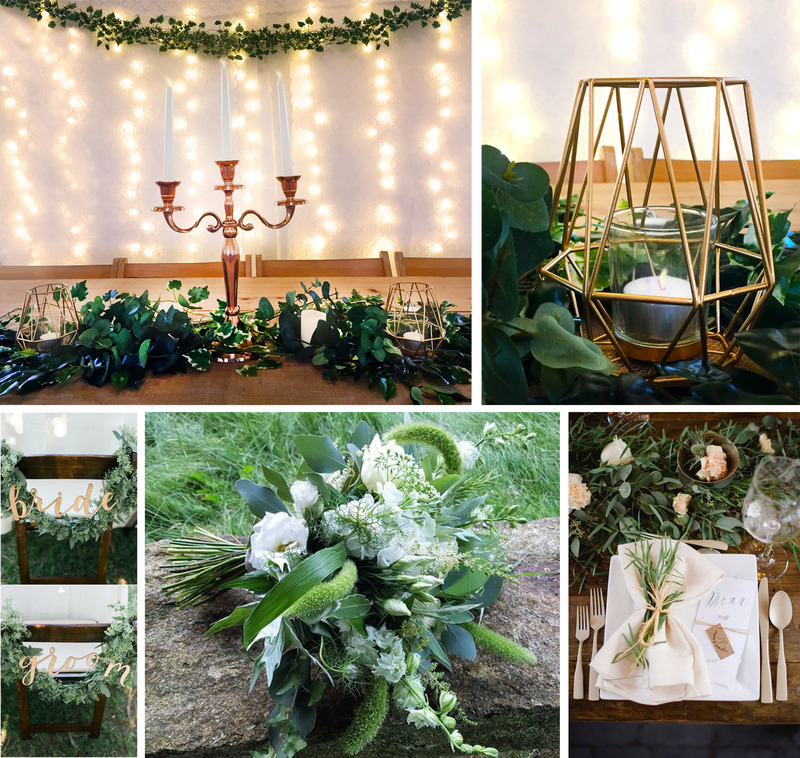 A natural green wedding is a perfect theme for a barn wedding venue. Style the barn with plenty of greenery, bold leafy centrepieces and foliage-draped props, paired with ivories or neutral hazelnut. Bring the natural theme bang up to date with pops of metallic accessories – copper, rose gold and brass candelabras, tea light holders and place settings. Inspire your bridal fashion and beauty with nature too. Floral and leafy adornments feature on many bridal gowns on the catwalk this year, along with bright, natural colours. The Pantone Fashion Color Report, a guide to colour trends for next season, reveals waterfall blue pantone colour Niagara will be strong in spring fashion, paired with shades of white and ivory, or with bold contrasting palettes of primrose yellow, flame orange or bright pink. 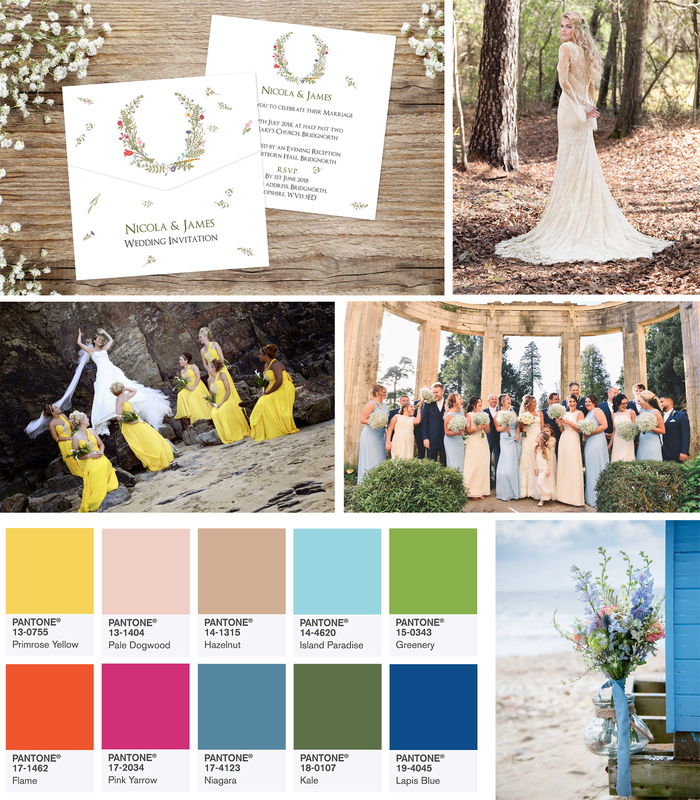 These colours are perfect for your bridesmaids’ dresses and flower choices, as well as the pastel hues of blues, yellows and pinks appearing under traditional whites and ivories for bridal gowns in designer collections. For natural beauty, shy away from heavy eyeliner and contouring in favour of earthy tones, camera-friendly gold, natural pinks and subtle highlights.